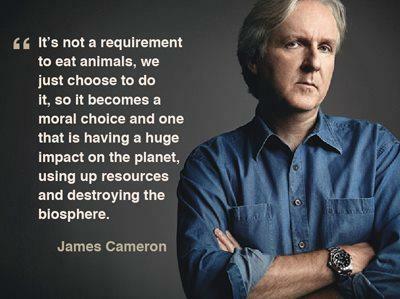 Hollywood director James Cameron has recently made the switch over to a vegan lifestyle. The man has given me Titanic, and now he’s given up animal products? Now if he’d just gift me a sum of 10 million dollars in a Swiss bank account, he’d have satisfied all my needs. Nicely done, sir. Speaking of which, when are we going to start a petition to get Leonardo Dicaprio to go meat-free? ‹ Happy Birthday, Kate Winslet! This may be a paradox of sorts, but heck, the man has an environmentally safe condo! James Cameron should definitely give us all 10 million in a Swiss bank account.